We buy vintage valentine collections. If you have a collection you would like to sell, please leave a comment below (all comments on The Vintage Valentine Museum are moderated so it will not be publicly viewable. We will see it but not publish it). In the comment please leave your contact email and some info about the collection (ie how many cards, general idea of what the cards are like). Usually we will need to see some photos or scans to know if the particular collection is of interest to us or not. I have a pack of 30cards from 1988 whimsicals valentines. it is unopened so I am unsure of what all it contains. There is an answer key at the bottom so I assume they ask a question. They have a page of heart sticker seals on the top. could I make any money from this?" Cards from the 1980s do have some minimal value though perhaps more to crafters at this point than valentine card collectors. Ones that feature a collectable character like Smurfs or Rainbow Brite can get slightly better prices from collectors of those characters. Sets that are sealed can get better prices than opened ones. The best time to try to sell such cards on a site like Ebay would be sometime in January, so people looking to utilize them in crafts for Valentine's Day or to send them out to friends for fun would receive them in time to re-send or create items for the holiday. I have found a box of valentines from the '30's. What do I do with them?? Well, displaying them in a shadow box or a shelf, or organizing them in an acid free album can be fun. If you are not interested in keeping them, cards from the 1930s do have value to collectors. That value will vary depending on the design of the cards and the condition they are in. You can sell cards individually on Ebay, but this is like taking on a part-time job. If you don't want to take on that level of work, selling them as a group is less of a time investment. The "hot" time of year for valentines on Ebay starts in January and stretches just a little past Valentine's Day. That would be the best time of year for selling - your best chance at getting top dollar - but there are valentine buyers year round. Sometimes selling a really good group in the slower time of year can end up with a higher ending price as there are less competing auctions and hungry valentine collectors haven't seen enough appealing auctions lately to spend their money on. If you do not want to deal with Ebay, I would look around for a local dealer. A dealer purchasing to resell, however, is going to need some room to make a little profit too, so you may get less than selling more directly on Ebay. Or you may not - auctions do always have some level of chance to them and sometimes even a good group will sell for a relatively low price. Working with a dealer can often get you a decent price for very little effort as compared to auctioning them yourself. Best of luck to you whatever you decide to do with your cards. I have over 200 vintage valentine's from the 1950's-60's and approximately 100 from the late 1920's-30's. Most of them are wrote on the back but some aren't. How and where do I sell these? I don't want to go to my local antique dealer as he seems to be pretty difficult to work with. This is the perfect time of year for selling valentines online. A large group like this could do very well for you indeed. I would recommend taking a few photos and putting them up for auction on Ebay. Selling them as a group is the most efficient way to do this. Selling them individually (on Ebay or Etsy) is possible too of course, but is like taking on another job - with lots of time involved - which may or may not be worth it to you. Let me know if you put them up as a group - I could be one of those bidding on it. Best of luck to you in selling your cards. I posted 3 separate lots on ebay, for a total of 50 of them. I will give it a try and see how it goes. Thank you for your help! I have an Eat Your Heart Rotating Wheel valentine exactly like the one on your website. It's the mechanical series "To My Valentine" and shows a monkey eating a heart. Could you please tell me the approximate value of the card? I have a box of old vintage cards just discovered in Dad's attic. I can send scans of some of the cards. There are probably 200. I would estimate the value of the monkey card of that series to the right collector to be between $12 - $25, depending on its condition. The price you might expect if auctioning it on Ebay, however, can vary even more depending on when and how you decided to list it (the day of the week, time of the day as well as what time of year you list it can affect the result of an auction quite a great deal). I found one of these Carrington Co cards in my grandmothers cedar chest. it has the tree and has the Letter C in the middle. The date written on the back is 1926 the card has a lil blonde girl in the center , then roses around her with hearts , then on top a lace doily on top with another heart. Is this of any value ? misty@rsiinspection.com. Thank you for all your help. Can you tell us how much a card that says Semper fidelis That's me! Valentine- picture of marine corp with moveable arm is. Hello - I have a physical collection, as well as the virtual one, but at this point the physical collection isn't set up for public viewing. I would love to see the scouting cards you have assembled. 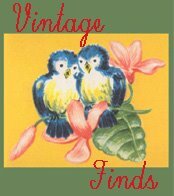 You can post pictures to our Facebook page (https://www.facebook.com/thevintagevalentinemuseum/) to start with. If you have some good images of ones I think would fit well and the museum does not have I would love to add them. I would look around town or online for an antique store or antique mall in my area. Give them a call and see when would be an appropriate time to show them your cards. Even if the store you go to is not interested, they can often put you in touch with someone else in the area that would be. Local antique stores are a great resource! Large collections, depending on the individual cards in them, can go for good money on Ebay as well. Collectors buy cards all year, not just around Valentine's Day. Good luck! I have Valentine cards from the late 1800s to early 1900s. Who would I visit to have them valued for sale? Local antique mall per your previous post? If these are plush toy bears I'm afraid they are a bit out of my area. Cards from the 2000s would not be of high interest to vintage valentine collectors at this point. Given more time, that may change depending on the percieved charm of the individual cards. I have a collection of 60 vintage valentine candy boxes that I would like to sell. Do you know of anyone or anywhere to sell these other than eBay and similar? If you're not a fan of using Ebay or Craig's List for selling your candy boxes, I would turn to a local antique store to find a buyer. That means selling to someone who is looking to resell, so you would have to be willing to negotiate a price that would allow this.